XCOR Aerospace released the following statement on March 26, accompanying a video of the 67 second test. XCOR tests its piston pump propulsion system (Credits: XCOR). 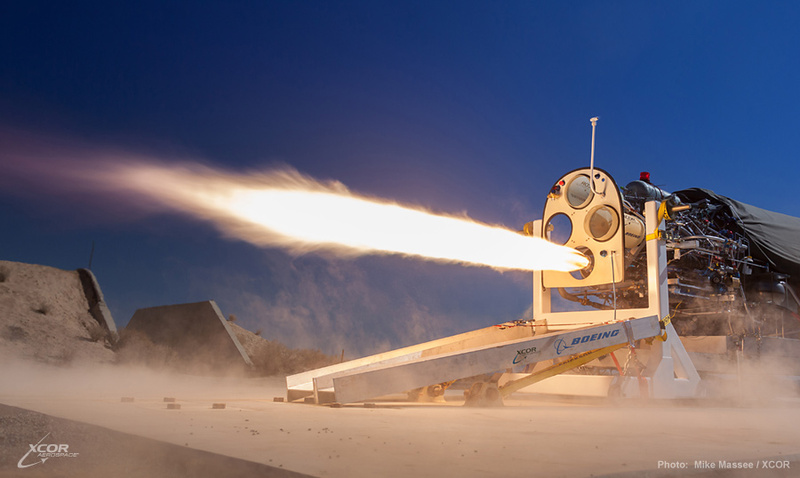 Mojave, California – XCOR Aerospace today announced a first in aviation and space history, the firing of a full piston pump-powered rocket engine. This breakthrough is the foundation for fully reusable spacecraft that can fly multiple times per day, every day. It is a game changing technology that has the power to fundamentally alter the way we as a society view, visit, and utilize the abundant resources around our planet and in our solar system. The initial portion of XCOR’s pump test program culminated in a 67-second engine run with the propulsion system mated to the flight weight Lynx fuselage. After the installation of the flight sized liquid oxygen tank, the next test sequence will extend the engine run duration to the full powered flight duration of the Lynx Mark I suborbital vehicle. Boeing provided additional funding to complete the XCOR test sequence and advance low-cost rocket propulsion technology. The demonstrated results of the full pump fed engine firing for extended periods helps to ensure the technology migrates into broader global applications.